This site uses Akismet, an anti-spam service. In order to filter out spam comments, Akismet will collect visitor data such as the commenter’s IP address, user agent, referrer, and Site URL, along with other information directly provided by the commenter such as their name, username, email address, and the comment itself. More information is available at https://automattic.com/privacy-notice/. When Users fill out and submit a contact form on the site, we collect the data shown in the form fields, including First Name, Last Name, Email Address and Message. This data will be stored for a limited time for customer service purposes, will not be used for any marketing or advertising purpose, and will not be shared with any third-party marketers. 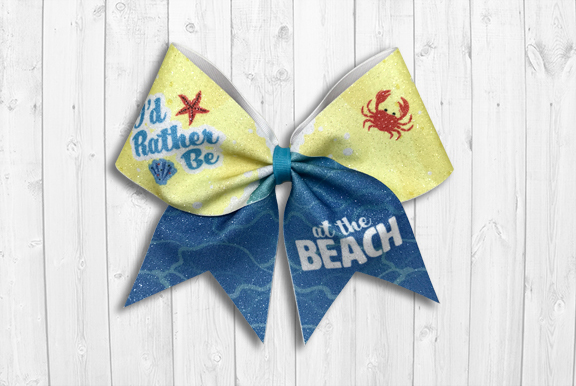 This Site offers Users the opportunity to sign up for the Lucky Girl Cheer Bows Newsletter. This periodic newsletter gives information about our products and services. The data collected by the newsletter sign up form is used solely for the purpose of delivering the newsletter and is not shared with any third-party marketers. This Site uses the services of Google Analytics, which is software that grabs data from Users of this Site such as: the website User came from to get here (such as a search engine or social media site), how long Users stay on the Site, the kind of computer and operating system of the User, and other statistical data. We use this data to track how Users experience our Site, and use this data to improve the design and function of the Site. This data is summarized in aggregate form (such as total number of visitors or types of browsers used) and does not include any personal information in the summarization. All of this activity follows the guidelines of the Google Analytics Terms of Service. Users have the option to opt out of Google’s advertising tracking cookie or download a Google browser plugin to opt out of all Google Analytics tracking software. We do not sell, trade, or rent Users personal identification information to others. We may share generic aggregated demographic information not linked to any personal identification information regarding visitors and users with our business partners, trusted affiliates and advertisers for the purposes outlined above. We may use third party service providers to help us operate our business and the Site or administer activities on our behalf, such as sending out newsletters or surveys or processing orders. We may share your information with these third parties for those limited purposes provided that you have given us your permission.